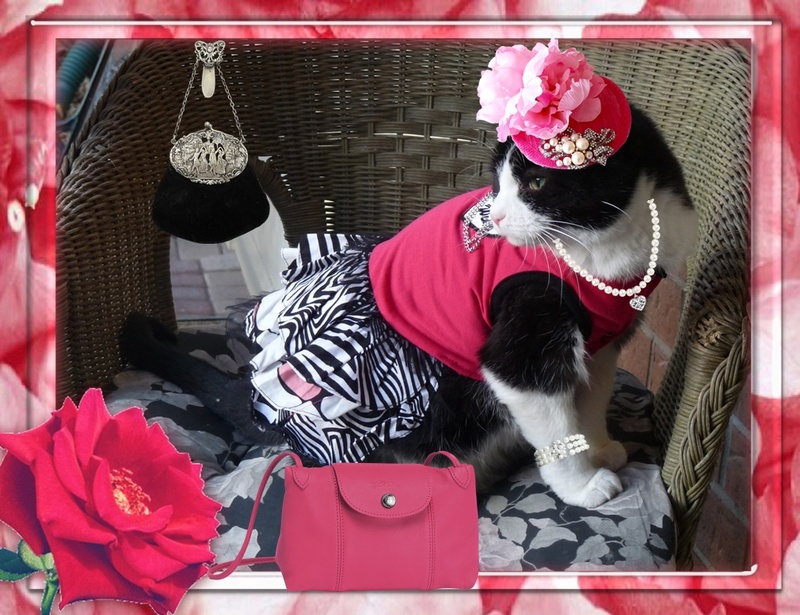 Here's Domino in hot pink in a photo from 2010. As the true fashion diva that she was, she has mixed styles seamlessly (except for the dress which obviously has seams or it would fall apart!). Her dress with the bright pink top and zebra skirt are rather funky, yet she has chosen a more classic fascinator adorned with roses and pearls along with white pearls at her throat and on her wrist. 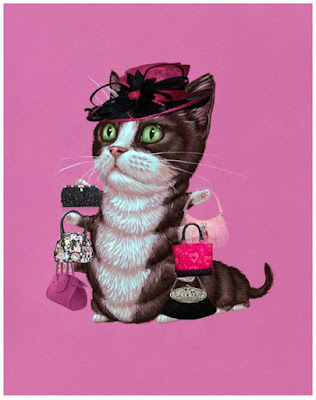 Her split PURRSonality just couldn't choose between a modern pink shoulder bag, and a vintage black with silver scroll design, so she just took both. "I has two arms aftah all!" she had remarked. "In fact I wish I wuzza caterpillar so I could carry lotsa purses all at once!" And on the Bridge, anything is PAWSible. She was always stunning in every way! Domino was a gorgeous girl.